I’ve been following the movie Inception, due out in theaters this summer. The movie, starring Leonardo DiCaprio, involves a pseudo-government dream research team who can access people’s dreams, and perhaps construct their reality too a la the Matrix. About two weeks ago, a video showed up on youtube, showing a rough 6 minute cut of three interviews of dream researchers by the director Chris Nolan. The unfinished video looks like raw footage of interview material for a DVD bonus, but it’s actually a very clever viral marketing video, because the third dream researcher doesn’t really exist. Who are the Dream Researchers Interviewed by Chris Nolan? The first dream researcher in the clip is William Domhoff, a professor of psychology at University of California Santa Cruz. The video cuts away when he identifies his title, but gives viewers enough to search for and verify his credentials. Domhoff specializes in linguistic dream content analysis. The second featured dream researcher in the video is Jayne Gackenbach. Her lucid dream research helped define the field in the early 1980s, and she served as editor of the now-defunct journal the Lucidity Letter. Gackenbach now focuses on video game research, but has released a few studies about the topic of lucid dreaming and video game interfaces, making her a natural interviewee for Nolan. I’m excited about Jayne’s influence on this movie! Government research into mutual lucid dreaming? That really is a nightmare. Luckily, this is the viral plot device in the movie, not based on reality. 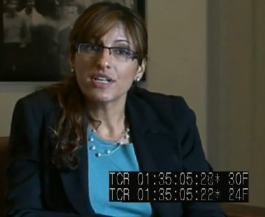 Thanks to Wendy Iraheta for her insight on the topic. 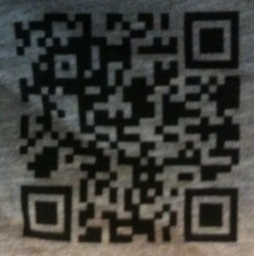 Slashfilm published a viral t-shirt image for Inception, including a QR code image on the back of the shirt. 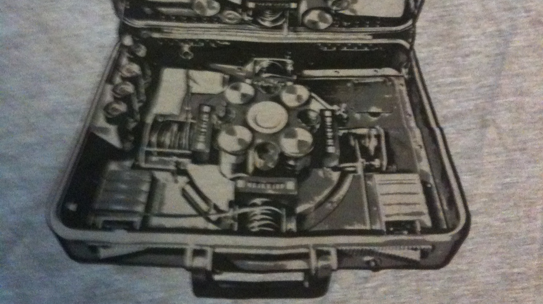 Someone decoded the image, leading to the discovery of this website which has specs for the “dream machine,” known as the PASIV device: Portable Automated Somnacin IntraVenous Device. Therefore, Somnacin is a plot point, not a real government program, and the third dream researcher is an actress. This movie has already done a good job blending dreams and reality, and its generating interest in dream research all the while. Yah Chris Nolan! This is great year for lucid dreamers in the media, first Avatar, and now Inception. I’m psyched about this movie. As someone who practices lucid dreaming, I find the film’s premise fascinating. I’m also a big fan of Christopher Nolan, and I think if anyone can do this topic justice, it’s him. It’s nice to see the concepts of dreams, lucid dreaming, etc. crop up in so many recent movies. For a while, any scenes related to dreaming were taboo in Hollywood because dreams had been misused as a plot device for so long. Now, it seems like dreams are turning up more often as a central focus of the story. Looking forward to this movie! What a curious marketing tactic. Very creative. Dreams can be a playground beyond compare. Ever play “Doom” in “God mode”? Once you learn how to control your dreamscape, you can be like Neo in “The Matrix”. But that’s only one facet…you’re not going to defeat the creature from “Alien” unless you know that you’re dreaming. Dreams are also a “gateway” to the afterlife. There are many, many instances of people communicating with the dead in their dreams. How can you tell that it’s real and not wishful thinking? Characters created by your mind will be “reactive”, not “proactive”. When, in a dream, a dead person tells you that they wish they’d known you when they were alive, that’s a pretty good indication that you’re not making this up! Shakespeare called sleep “death’s counterfeit”, referring to this. Dreams are also a gateway to inspiration. A local inventor, in a recent newspaper story, credits a dream for helping him solve an engineering problem. Once again, there are many instances of this phenomenon. Even so, there is still an aura of mystery surrounding dreams. Those without “the gift” tend to dismiss what the rest of us are doing…entering another world when we close our eyes, and for a few fleeting hours, slipping these Earthly bonds. People share their experiences here, and so I shall share mine. Through my dream state, I have spent more time working in space than any astronaut. These dreams were so lucid that a little voice inside my head advised against doing something stupid like taking off a glove or my helmet. They were so lucid that, when I described some of the sensations to a real astronaut, he asked me how I knew these things. Those dreams ended after about four months. A few years ago, I started dreaming about a famous woman who has died many years before. Initially, she was very angry at me, but she would eventually teach me many things about her life, the afterlife, and how everything fits together. “Paint with all the colors of the wind”, describes it pretty well. Apparently, she had never crossed over after all this time, but after dreaming with her nearly every night for six months she did go home…watching it was incredible. Today, my dreamscape is pretty ordinary. Occasionally, I’ll get a glimpse of what may be a future event…like visiting the Mojave National Preserve with my brother-in-law as we ride our motorcycles to California. thanks Dave for sharing… dreaming holds so much potential. I recommend Deidre Barrett’s book “The committee of sleep” if you’re interested in the role dreams have played in problem solving and inventions. Inception was by far the best movie I’ve ever seen. I also practice lucid dreaming and have had two half-way successes, meaning that I was aware I was dreaming, but I was not fully conscious to create my surroundings at will. I would like to know more about this Project Somnacin and its purpose. If anyone knows important info on this please contact me @ yourboyjt12@hotmail.com. I would greatly appreciate this as I plan to follow the career path of Neuroscience and definetly unlock more dreaming abilities of the human mind! I have also bought the combo pack of Inception and I highly recommend the purchase of this movie to anyone who has found themselves fascinated by the subconcious mind. If you would like to see Nolan’s full dream research documentary, you may want to buy the Blu-ray Combo Pack as the special features disk is what contains this feature. Thanks for your time. I got it too!! This movie, is just amazing with everything. I really want to know more about Project Somnacin. I have had expirences with dreaming, my body is at rest but my mind is awake. In this state i see and hear everything in my surroundings. I feel as if i can move my body parts but i really aint, then i get this feeling of huge weight on me. I can control my breathing but when i try to talk all that turns out of my words are mumbles. When this first happened to me, my cousins and i were talking about ghost and supernatrual things. One of the stories was about my uncle he was encountered by a ghost in hes sleep. He got a feeling of a massive weight on him he tried to talk but he was just mumbling. He was woken up by my aunt sleepin next to him. So that same night that happens to me, i was laying down and at this point i was already asleep but then i hear my cousins having a conversation below me. Then i got the heavy weight feeling, I got soo scared for what i felt that i sream at the top of my lungs calling their names. i called for them about 5 times but but by the 4th time i say the name i myself mumbling. So as my cousins hear this they throw me a pillow telling me to shutup. That pillow is what woke me up. As this happens to me i have learned some technics to wake myself up. One is where i hold my breath until my body reacts to that and i wake up. Another is where i concentrate on moving my finger tips then moving my arm to wake myself up. This ‘thing’ has been happening to me since 5 yrs ago. Im not sure if this is lucid dreaming or just problems with my deep sleep. If anyone knows anything about this please let me know @ isidrox5 AT yahoo.com. This also makes me want to learn more about the human brain, about dreaming. I want to study this, all of the brain and its functions intersts me a whole lot but i really dont know where to start. Give me a little advice here. Thanks for your time, hope to hear form someone that wants to help me out. As I’ve got older (40), I have frequently got to a point in a dream where it is so weird, I reason that I must be dreaming – at this point I *usually* wake. However, once or twice I have managed to try and influence the dream from the point I know I am dreaming. Unfortunately, this is only split seconds…so I might manage a conscious decision such as turn right….put down the cup…little things like that. At these points I get so excited that I am in a lucid dream and am influencing my dream…I wake up. It is so frustrating…I am at the threshold of real lucid dreaming but just keep waking up. I wish I knew techniques to stay asleep and stay dreaming…long enough to do something far better than turn right, or put down the cup. just have patience Matthew… you’re on the right track. try spending some time in quiet contemplation during the day, this will build up your witnessing “muscle” so you can stick the state.